Properties in Arnage average 4.4 out of 5 stars. Entire home 3 beds, 5 minutes from the circuit. Property 1: Entire home 3 beds, 5 minutes from the circuit. 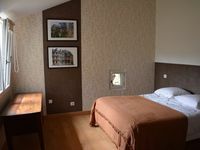 Studio of 36 m2, located near old town (cathedral). 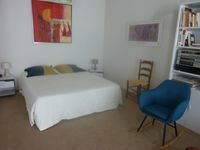 Property 2: Studio of 36 m2, located near old town (cathedral). House downtown 15 minutes from the circuit of 24 H tram. Property 20: House downtown 15 minutes from the circuit of 24 H tram. T2 apartment of 37 m2 near the 24h circuit and 20m from the tramway. Property 30: T2 apartment of 37 m2 near the 24h circuit and 20m from the tramway. Terrific location, apartment and charming hosts! Beautiful cottage with full modern amenities in a private garden with off- street parking! We came to attend the 24 hours of Le Msns. We were centrally located in town with easy walkable access to everything. The property is beautiful! It is a very recent renovation with fully modern amenities. It is located off the street in a garden. The owners were wonderful and helpful.